Where do you NETWORK with other leaders? 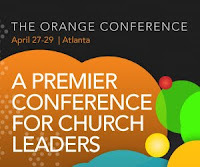 One of the best parts of the Orange Conference every year is time to network and spend time with leaders from across the country striving to think Orange. There is no conference in the country that allows church leaders investing the next generation to unite like the Orange Conference. One of my favorite connections made through this conference came when I had the chance to hang out with Chad Swanzy who leads the student ministry at Gateway Community Church in Austin Texas. Chad also runs an incredible website called the Youth Leader Stash that allows student pastors to share ideas and resources. Chad has a passion to reach teens in Austin and I have enjoyed watching his team go for it. 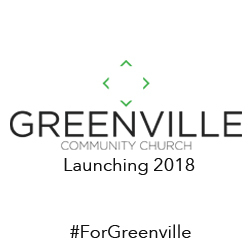 At Orange I was able to take some time and get Chad’s perspective on how our team at Relevant Student Ministry could rethink group life and community in our ministry. That connection came through the Orange Conference and I hope many of you out there will join us this April as we take time to process how we can reach this generation. We can do more and dream bigger when we collaborate and network. Make sure you have time set aside to get to a conference you are passionate about and make time to network and learn from other leaders. If you are out there on an island you have no one to blame but yourself. I just want to tell you that I am just newbie to blogging and definitely loved you’re web blog. Most likely I’m likely to bookmark your blog . You actually come with great articles and reviews. With thanks for revealing your webpage. whoah this weblog is magnificent i like studying your posts. Keep up the good work! You already know, a lot of people are searching around for this information, you could help them greatly. hello there and thank you for your info – I have certainly picked up anything new from right here. I did however expertise several technical issues using this web site, since I experienced to reload the website a lot of times previous to I could get it to load properly. I had been wondering if your web host is OK? Not that I am complaining, but slow loading instances times will sometimes affect your placement in google and can damage your high quality score if ads and marketing with Adwords. Well I’m adding this RSS to my email and can look out for much more of your respective fascinating content. Ensure that you update this again soon..
My wife and i have been so joyous Chris could deal with his investigations from the precious recommendations he got through the weblog. It is now and again perplexing to simply continually be offering tactics that many people have been trying to sell. And we figure out we need the blog owner to thank for this. The explanations you have made, the simple web site menu, the relationships you can aid to create – it is all excellent, and it is aiding our son and the family feel that this theme is awesome, and that’s unbelievably mandatory. Thanks for all! My spouse and i were very peaceful when Peter could finish off his researching using the ideas he had from your own site. It is now and again perplexing to just choose to be giving away thoughts which usually a number of people have been making money from. And we also understand we have got you to thank because of that. These illustrations you have made, the simple website navigation, the friendships your site make it easier to foster – it’s most terrific, and it is leading our son in addition to our family feel that this idea is satisfying, which is truly indispensable. Many thanks for the whole thing! Valuable information. Fortunate me I discovered your website accidentally, and I’m shocked why this coincidence did not happened earlier! I bookmarked it. Whats up very cool web site!! Man .. Beautiful .. Amazing .. I will bookmark your web site and take the feeds additionally¡KI’m satisfied to find so many helpful info here within the put up, we want work out extra techniques on this regard, thanks for sharing. . . . . . I simply want to tell you that I’m beginner to blogging and site-building and definitely loved your page. Probably I’m going to bookmark your site . You really come with remarkable articles. Thanks for sharing with us your web site. wonderful put up, very informative. I ponder why the other experts of this sector do not realize this. You should continue your writing. I’m confident, you have a huge readers’ base already! Excellent site. Lots of helpful information here. I¡¦m sending it to a few pals ans additionally sharing in delicious. And obviously, thank you for your sweat! I have to express appreciation to this writer just for rescuing me from this circumstance. Just after checking through the world-wide-web and obtaining suggestions which are not helpful, I figured my entire life was over. Living without the presence of solutions to the issues you’ve sorted out by way of the posting is a serious case, as well as the ones that would have badly affected my entire career if I hadn’t noticed your web blog. Your good mastery and kindness in dealing with a lot of stuff was very helpful. I’m not sure what I would have done if I hadn’t discovered such a point like this. I am able to at this moment look forward to my future. Thanks a lot so much for this reliable and effective guide. I will not be reluctant to endorse the blog to anyone who should get support on this subject matter. I do accept as true with all of the concepts you have introduced on your post. They are really convincing and can definitely work. Still, the posts are very short for novices. May you please lengthen them a bit from next time? Thanks for the post. bclwrayxzd,Definitely believe that which you said. Your favourite justification appeared to be on the net the simplest thing to remember of. A person necessarily help to make seriously posts I’d state. That is the very first time I frequented your web page and thus far? I amazed with the analysis you made to make this particular publish amazing. Fantastic process! nsdgdokicsa,Your blog was informative and valuable to me. Thanks for sharing. A person necessarily lend a hand to make significantly posts I would state. That is the first time I frequented your website page and so far? I amazed with the research you made to create this actual put up amazing. Wonderful task!